The Pinehurst Resorts has 9 championship golf courses designed by some of the best golf course architects in the world. A basic full membership includes play at the Pinehurst 1-6 golf courses, including Pinehurst #2, site of the 1999, 2005 and 2014 US Open course, (unlimited range balls), use of over 30 tennis courts (6 lighted), access to several pools, use of Lake Pinehurst marina and facilities, a no fee fitness center with exercise equipment, championship lawn bowling, croquet and pickleball courts and the newly renovated (2013) Pinehurst Members club and locker rooms. The well-established men’s and women’s golf association are available to all members with weekly tournaments. In addition to Pinehurst #1-6, members can also join Pinehurst # 7, #8 and #9 for an additional transfer fee and an additional ~$70/month increase in dues. Pinehurst #7 and #9 are gated communities that have houses that range in price from $400,000 to $1,000,000 +. There are no homes located on Pinehurst #8. Residents in the Fairwoods have easy golf cart access to the Pinehurst Village. The National golf Club was purchased by the Pinehurst Country Club in 2014 and was reopened as Pinehurst #9. The country club has a spectacular Jack Nicklaus designed 18-hole golf course, a swimming pools and several tennis courts. The maintenance-free Villa condominiums start at $300K and the homes range from $400,000-1,000,000+. Established in 1963, The Country Club of North Carolina is a member-owned club with over 400 Luxury Homes. This private gated community is situated on 2,000+ acres of long leaf pines that includes three picturesque recreational lakes and 2/18-hole championship caliber golf courses. The Dogwood course was designed by Ellis Maples and Willard Byrd, and the Cardinal course was designed by Willard Byrd and Robert Trent Jones. Jack Nicklaus, Ben Crenshaw, and Hal Sutton are just a few golfing greats who have won championships at CCNC. The Club lifestyle is especially appealing to families with children who can enjoy an active youth golf, tennis and swimming programs and more. Private gated community located about two miles from the Pinehurst Village. The original land plan for 1,265 acres called Forest Creek gave world renowned golf course designer Tom Fazio, the opportunity to develop the best 36-hole golf complex before the first residential lot line was drawn. The result was two spectacular golf courses with rolling hills, ponds and tall stands of long leaf pines that are consistently rated as some of the best golf courses in the Carolinas. The South Course opened in 1996 and was hailed as one of the best new designs of the year. The North Course, opened in 2005, is another Fazio masterpiece made an equally auspicious debut. Forest Creek, located about a 10 minute drive to the Pinehurst Village, is one of the premier private USA gated golf communities. The Talamore Golf Resort includes the Talamore golf course, designed by Rees Jones and The Midsouth Club designed by Arnold Palmer. Talamore and MidSouth Country Clubs combined in 2004 and now offer a membership at two of the finest clubs in the Carolinas. Both courses are championship caliber and offer a challenge to golfers of all playing abilities. Membership includes unlimited greens fees and use of tennis and pool facilities. Private gated community (2,025 acres) with 2/18-hole golf courses designed by Gene Hamm and Gary Player. Also includes a 9-hole par 3 course, driving range, 4 Har-Tru tennis courts and a 25-meter swimming pool. The Pinewild Country Club is a private gated world-class facility that includes two championship golf courses, the Magnolia and the Holly, which are both stunning and challenging to golfers of all skill levels. The Magnolia, a "traditional masterpiece", was designed by Gene Hamm, and The Holly was designed by Gary Player. The Holly has played host to several USGA Qualifying events as well as Carolina PGA Championships. Membership includes use of a 9-hole executive golf course, a world-class practice facility, a 25-meter Olympic swimming pool & children’s wading pool and 4 Har-Tru tennis courts. Member-owned and operated private 18-hole country club with limited non-member play. The cozy, friendly community is located 20 minutes from Pinehurst and has full recreational amenities, including swimming pool, lakes, tennis and health spa. Beacon Ridge, located about 10 miles west of the Pinehurst Village on Rt. 211, is an 18-hole Gene Hamm-designed golf course located in Seven Lakes West. Seven Lakes West also contains Lake Auman, a 1,000 acre lake that allows boating and a beach facility. Membership includes unlimited greens fees and use of pool and tennis facilities. Located about 5 miles north of the Pinehurst Village, Whispering Pines is primarily a residential community with significant recreational amenities and 2/18-hole golf courses. Whispering Pines has excellent schools and the close proximity to Fort Bragg military base have attracted many younger families. There are several Whispering Pines homes with great golf and water views. In 1988, architect Dan Maples carefully preserved some original features on the site of one of the Village of Pinehurst's former horse training facilities while designing Longleaf across the 170 acre estate. U.S. Kids Golf, which has conducted its World Championship at golf courses throughout the county, purchased the Longleaf Golf & Country Club in 2015. The club is open to the public and has a club house, restaurant and pool. Midland and Knollwood each have 9-hole golf courses located on Midland Road in Southern Pines. Midland Country Club has a well stocked pro shop, a practice putting green and a spacious driving range and offer teaching lessons by a PGA professional. The Elks club has a Donald Ross designed golf club that has been in operation since 1906. Membership includes unlimited play on the 18-hole course and use of the outdoor pool and clubhouse. The course has a challenging layout typical of Donald Ross designed courses. Foxfire Village is located 10 minutes from the Pinehurst and has 2/18-hole golf courses and driving range. Pinehurst has long been known as the home of American golf. Lining the fairways of the 9 Pinehurst Championship are some of the finest properties in Pinehurst ranging in price from $300,000 to $2,000,000+. Please feel free to give me a call at 910-528-4652 to discuss what golf course community would best meet your needs. Please feel free to use my east search at the top of this website to preview golf front homes in all of the golf communities. Pinehurst NC Real Estate offers some of the best golf values in the U.S. Where else can you be a member at 9 championship golf courses, including the 2014 Men’s and Women’s U.S. Open course, for less than $500/month? Taxes on a $500,000 are about $4,000/year. Most members claim they save enough on taxes to more than pay for my golf membership plus carts. Pinehurst Membership Information at the top of this website for answers to frequently asked questions, membership levels and pricing, and guest fees. Pinehurst Golf Condos and town homes offer a great opportunity for non-residents to enjoy the Pinehurst Country Club membership facilities with a minimum concern about property maintenance and upkeep. A Pinehurst NC condo can also be an attractive investment property that may be rented several months per year through the various local rental agencies that offer Pinehurst golf packages. Pinehurst - "One of the Best Golf Retirement Communities"
Did You Know? Pinehurst, NC, has been selected a top retirement destination by Where to Retire, the only magazine in America geared toward helping people with retirement relocation decisions. Where to Retire Editor Annette Fuller said eight cities, including Pinehurst, "appeal to retirees who love golf, but are looking for a well-rounded, livable locale. Though golf is a popular sport among retirees, it’s not the driving force behind their decision". Pinehurst presents many options for outdoor activities, culture, shopping, dining and more – and great golf. Pinehurst, often referred to as the "Home Of American Golf", offers one of the best golf retirement community values in the United States. With over 45 golf courses located in and around Moore County, the Pinehurst area offers golf in private gated retirement communities as well as affordable memberships at the world renown Pinehurst Resort. Pinehurst Resort* offers unlimited golf privileges at 6 championship courses including the 1999, 2005 and 2014 Pinehurst #2 US Open Course, for under $400/month. In addition to golf, a Pinehurst Membership includes access to several local pools, The Lake Pinehurst Marina, Pinehurst Tennis, Lawn Bowling, Pickle ball courts, and Croquet Club as well as use of the Pinehurst Members Club. There are no minimum restaurant charges, no charges for hitting unlimited range balls at two clubhouses, and several resort restaurants offer members discount on equipment and food. Moore County, and in particular Southern Pines, NC, have attracted a large and distinguished concentration of horse enthusiasts and world class horsemen from all over the world. Some of the nicest horse farms and best trainers are located throughout the county. Its national recognition as an equestrian training ground is believed to be without parallel. The heart of the horse country is the Walthour Moss Foundation consisting of over 4,000 acres of trails and natural areas that exist today much like they did over 100 years ago. The Walthour Moss Foundation is the center of horse activities and invites a diversity of equestrian endeavors. Adding to the Southern Pines appeal is the completion of the Carolina Horse Park which is the signature piece of the communities' equestrian vision. The Carolina Horse Park is a calling card for international caliber competitors of multiple disciplines in the equestrian arts and home of the annual Stonyebrook Steeplechase. If you're looking for an area with fantastic horse farm communities as well as weekly equestrian activities, I know you'll love the Moore County area. Moore County North Carolina has hundreds of horse farms and practically an unlimited number of riding trails that offer equestrian living at its finest. Located about 1 hour south of Raleigh, Moore County has a temperate climate and sandy soil that allows for year round riding and eventing activities. By visiting Moore County you will discover a land of luxury horse properties, equestrian communities, and exceptional estate properties. Contact us to initiate a tailored search for horse farms that meet your requirements. Easy access to the Fort Bragg base (less than 20 minutes). Most military personnel that I have worked with are looking for the quaint town atmosphere located on the western side of Fort Bragg. Great school systems and friendly atmosphere. The Moore County schools are some of the best in North Carolina. Find a Pinehurst Realtor. Ready to sell your home? Give me a call. Selling your home in an unpredictable market is no easy task. But when you have a National Award Winning Realtor who knows the area and offers top-of-the-line expertise ... it's not so bad. I will take the time to explain the current market conditions and help you get your home sold quickly and for top dollar! I will ensure that you are satisfied and well informed at every point of the process. The success of my real estate practice is attributed to my dedication and experience. Every seller wants their home to sell fast and bring top dollar. Well, it's not luck that makes that happen. It's careful planning and knowing how to professionally spruce up your home that will send home buyers scurrying for their checkbooks. Whether you're selling a home for the first time or simply want to know how to do it even better than you did before, nothing beats a good game plan. I CAN SAVE YOU TIME AND MONEY! 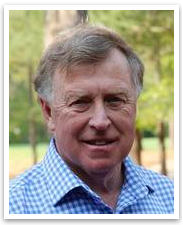 Having sold over 300 properties, I have an excellent knowledge of the Pinehurst golf communities. My experience and knowledge of the area can save you time and money. References available on request.